Formula E is not just a race! It is a combination of the latest innovations in electric vehicle technology and a sustainable transportation to fight against climate change. 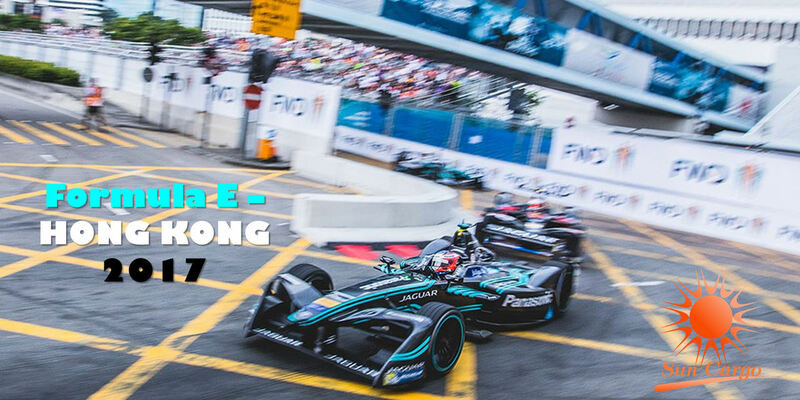 In December 2017, Formula E - The Electric Street Racing Series returned to Hong Kong. Once again, Sun Cargo International Ltd. has been nominated by Jaguar Land Rover as one of the logistics service providers since first E-Prix. A 800 kg with max. speed 225km I-TYPE 2 Jaguar Formula E race car travelled 9646km from London to Hong Kong. The challenge was not only transport a race car contains 320 kg highly sensitive lithium-ion batteries, but also delivered it before the race day without any delay. There was no time to loss and no room for mistake! Sun Cargo Automotive Team, with over 10 years’ experience handling complex, time-critical and global vehicle logistics, is ready to load / deliver Formula E race car to the next racetrack in any destination in the globe.